The 4890D GC has the same platform as our 5890 GC, the top-selling GC in history, so you get the same superior performance and rugged reliability. This GC lets you make fast and confident decisions based on dependable data. The Agilent 4890D GC is not available in the U.S. or China. 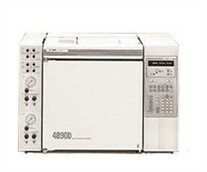 There are no threads in Agilent Technologies 4890D GC Reviews at this time.